We have been very pleased to see a number of galleries using the summer to promote emerging talented artists. One example is the current exhibit at a top venue: John Cleary Gallery. 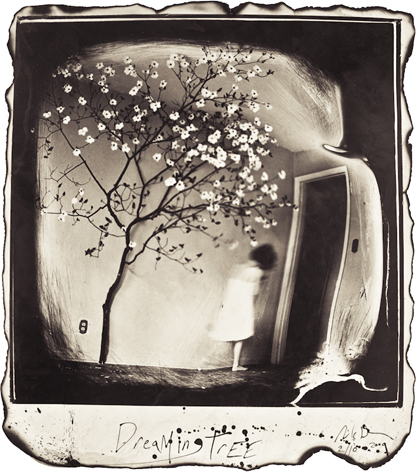 Take a look at these artists and you realize the maturity and sophistication of their work… such as Michael Donnor using an alternative printing process for his surreal images. Found is an exhibition that brings recently discovered and emerging artists to the public eye and gives them a chance to display their work in a professional setting. This is the second Found exhibition the John Cleary Gallery has hosted. The artists selected to be in this show were hand picked by Catherine Couturier, the owner of the John Cleary Gallery, for their uniqueness, quality, and craftsmanship. The artists in Found were discovered in Houston’s FotoFest and New Orlean’s PhotoNOLA. The opportunity to be included in a high quality group show culled from the impressive portfolio reviews of the Houston and New Orleans art photography fairs, is indeed an honor. Note, our recent profile artist Isa Leshko’s Elderly Animals work is included as well. Our congratulations to Catherine Couturier on offering an impressive selection of images reflecting a “real time” sense of contemporary fine art photography.